A septic tank was at the centre of an explosion that ripped through the Chinese mega-port of Ningbo at the weekend, killing at least two people and injuring 20 more, the authorities have said. The blast, which erupted in a vacant lot, was so powerful that it was heard several kilometres away, toppling nearby disused buildings, shattering windows in residential towers and mangling cars. Ningbo Zhoushan Beilun port’s multi-purpose terminal renovation construction project has successfully achieved environmental acceptance. Beilun Port's renovation project will transform the original Number 1 and Number 2 coal terminals into a multi-purpose terminal. Beilun Port’s renovated multi-purpose terminal is located in the southeast of Hangzhou Bay outside the south side of Jintang waterway. 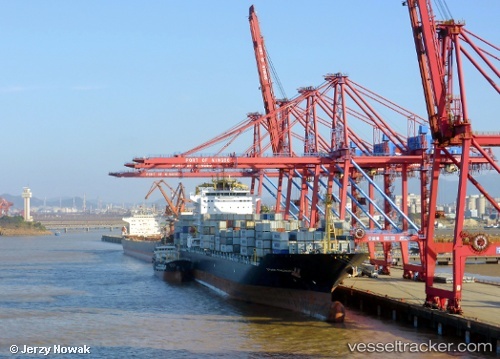 A berth will be designed for small cargo ships, for example a 50,000 DWT container ship or a 40,000 DWT general cargo ship, and will see the transformation of the coastline to reach a total length of 515 metres. With the project, Ningbo Zhoushan Port intends to grow domestic container trade by further promoting port integration. The terminal is being converted to handle containers, bulk, and breakbulk amid dwindling demand for coal, reported Splash247.